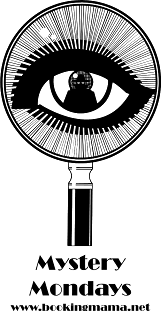 A few days ago, I featured a guest post written by Michaela MacColl, author of THE REVELATION OF LOUISA MAY. 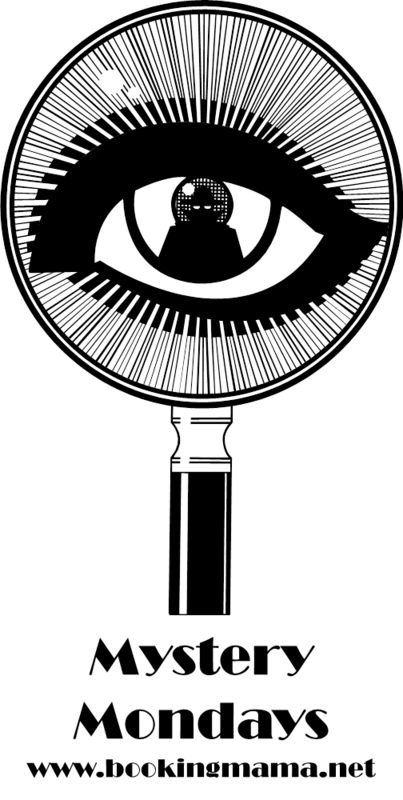 This essay gives a great summary of the novel as well as some of the background on the story, and you should really check it out... not to mention that there's a great giveaway for a copy of this novel. THE REVELATION OF LOUISA MAY is a terrific book starring Louisa May Alcott when she was a teen. It is primarily a mystery, but there's also some action and suspense along with a little romance. Louisa finds herself in charge of her household when her mother leaves for a few months to earn some much needed money for the family. Needless to say she's less than thrilled to be left behind with her eccentric father and an assortment of chores. Louisa's family has been involved in the Underground Railroad for some time, but with her mother gone, Louisa has to take on a more important role in helping fugitives hide and escape. A slave catcher named Finch arrives in Concord and he suspects that the Alcotts are involved in the Underground Railroad. As a result, he begins watching Louisa closely for clues. When Finch is found dead, Louisa's father is a prime suspect. Louisa, along with her friend (and possible romantic interest) Fred, are determined to find out the truth behind the murder. I thought THE REVELATION OF LOUISA MAY was a great book! I've always been a fan of Louisa May Alcott, so that was probably the main reason I was drawn to this story; however, I quickly realized that this book was intriguing for a variety of reasons. I thought the mystery aspect was interesting, but it was the portrayal of Louisa's character that really made this book special to me! Louisa was a strong-willed and spunky teenage girl, and I think young adult readers are going to love her! She's smart as a whip and has strong opinions, but she's also girl who is courageous and not afraid to stand up for what she believes. As soon as Louisa decided that she was going to get to the bottom of the murder, I never had a doubt that she'd follow it through to completion. Another part of THE REVELATION OF LOUISA MAY that I appreciated was how well the author incorporated the Underground Railroad into the story. If you are a regular reader of my blog, then you might know how much I love books that take place in the years before, during and right after the Civil War. I am fascinated by the Underground Railroad and how many brave families supported the effort to free slaves. Since the Alcotts were known for their abolitionist beliefs, it was fitting to have a story about Louisa include their actions to help fugitive slaves. And finally, I loved how Ms. MacColl was able to blend the fact and fiction of Louisa's life into the novel. I have a feeling that she captured Louisa's personality pretty well, as well as her father's and mother's; and I especially liked how some of Louisa's famous neighbors (like Thoreau and Emerson) made guest appearances in this book. I also really appreciated that there were an Author's Note and a Further Reading section in the back of the book. The Author's Note did an excellent job of separating the fact from fiction in the novel. Because there was so much history woven into the pages of THE REVELATION OF LOUISA MAY, I can easily see how teachers could incorporate reading this novel into their curriculum. In fact, there is a Common Core Aligned Teacher's Guide available to help them do just that. This guide has discussion questions, writing prompts, and other pre-reading and reading activity suggestions. I found THE REVELATION OF LOUISA MAY to be a delightful read. It has something for everyone and it might even teach readers a thing or two about Louisa's life and the time period in which she lived! Highly recommended! 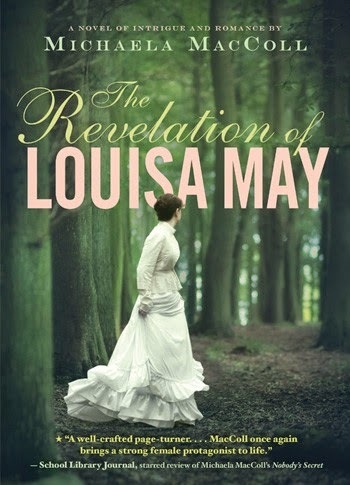 Make sure you check out my giveaway for a copy of THE REVELATION OF LOUISA MAY. There is open for a only a few more days! I know just the tween to recommend this too! I was just talking to her yesterday and she told me there isn't enough YA historical fiction.